Humans can be so cruel to animals and yet, in the face of such cruelty, many animals still refuse to give up. 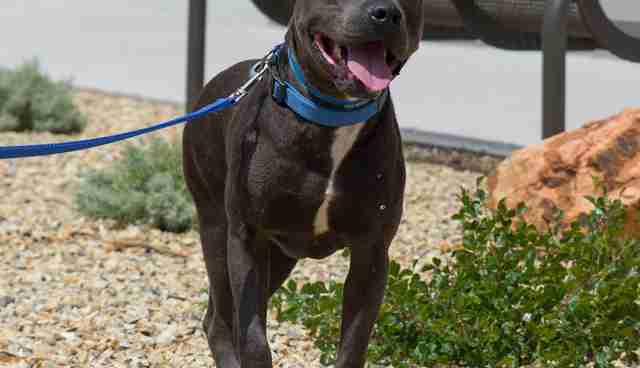 A 5-year-old pit bull, brought to Animal Humane New Mexico, has had a practically unimaginable life - but he still keeps fighting, KRQE News New Mexico reported. 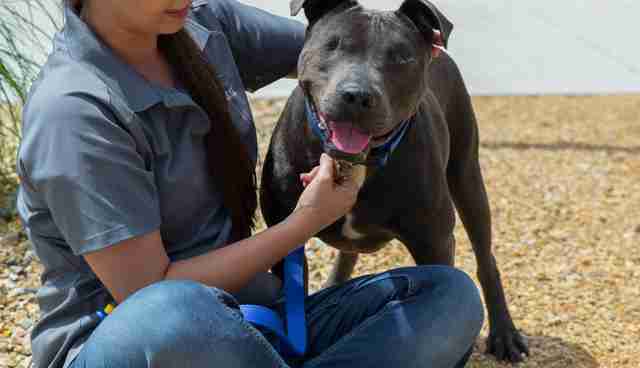 Raj (which means King), was brought in to the shelter by a woman who lived near him and witnessed his harsh beginnings, Animal Humane New Mexico wrote in a Facebook status. Raj belonged to a family with two other dogs, all of which were kept chained outside at all times. Raj lost an eye while in that home, due to unconfirmed trauma, and eventually he and his two dog siblings were poisoned. Raj was the only one who survived. After that, the family decided they no longer wanted him and gave him up to the neighbor woman. 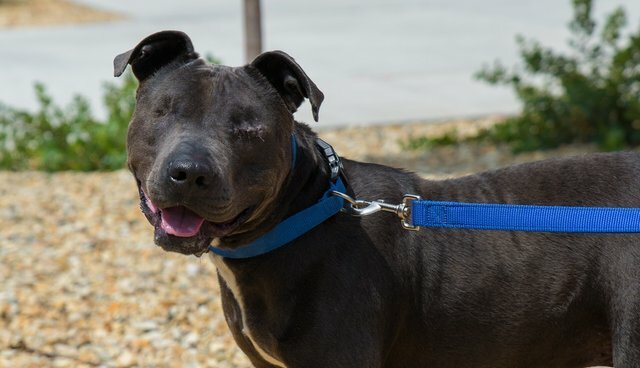 When Raj arrived at Animal Humane in early July, it was discovered that he had glaucoma in his remaining eye, so that eye had to be removed as well. 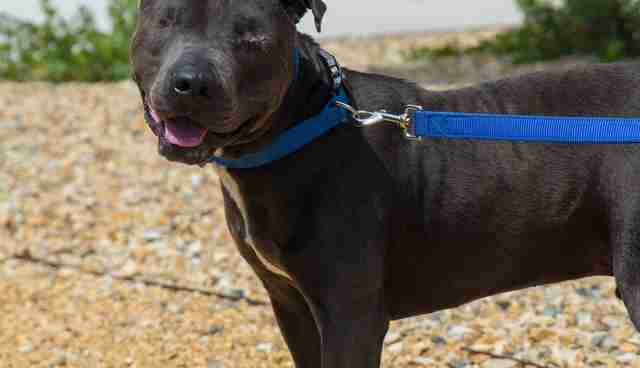 Raj is now completely blind - but he is in no way defeated. He is working hard at taking walks on a leash and responding to verbal cues. All Raj really wants now is to be loved. Raj still has plenty of good years left. His disability will be challenging, but will absolutely not get in the way of his ability to love life and others. If you'd like to give Raj a safe, happy forever home, check out his adoption page!